This Body Butter is high in antioxidants which help fight free radicals which prematurely age the skin. Ingredients: Organic Raw Cocoa Butter, Organic Raw Unrefined Shea Butter, Organic Raw Cold pressed Coconut Oil, Organic Beeswax, Organic Almond Oil, Organic Jojoba Oil. Note: This butter has a rich natural aroma of chocolate. There are no artificial scents added. Bee Soft Baby Butter keeps babyâ€™s skin soft and smooth, with none of the harmful chemicals that are found in your standard baby lotion. 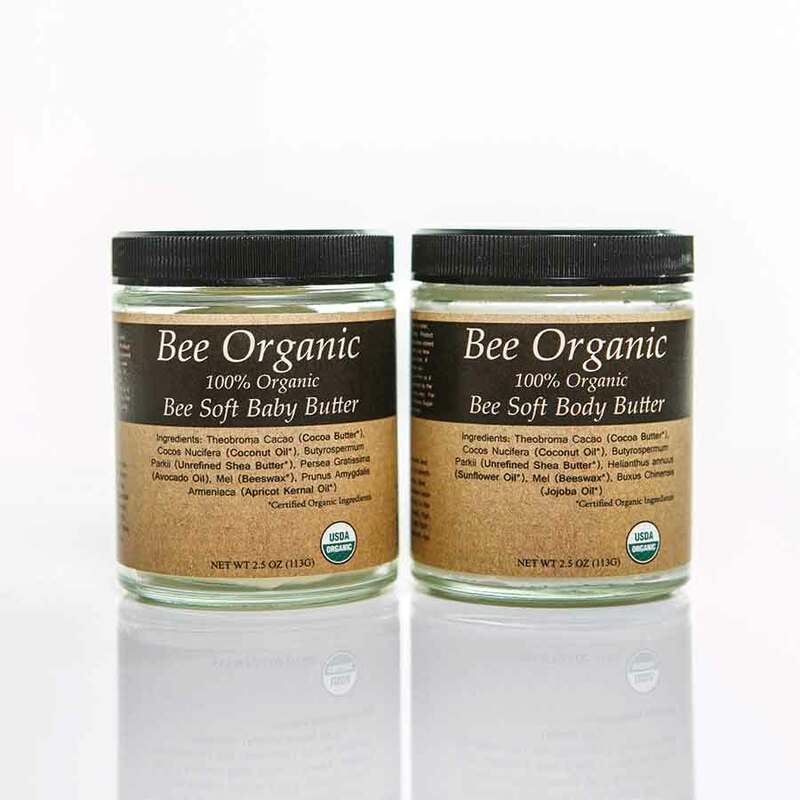 Bee Soft Baby Butter is the best product that you can put on your baby's skin. All Raw Organic ingredients, no water, no fillers, no chemicals. Ingredients: Organic Cocoa Butter, Organic Raw Unrefined Shea Butter, Organic Raw Unrefined Coconut Oil, Organic Beeswax, Organic Apricot Kernal Oil, Organic Avocado Oil.